You wake up in India, and you discover that the world changed, while you slept. The Berlin wall going down, Osama Bin Laden taken out, Instagram acquired by Facebook for a staggering $1 bn….and today, a much bigger $19 bn acquisition of red-hot Smartphone messaging service provider WhatsApp by Facebook! Whoa!! That is HUGE. Especially after an apparent failed attempt by Facebook to acquire Snapchat for about $3 bn. This time, they had to “make an offer that couldn’t be refused”?? Yes, Godfather Facebook strikes again.. So what do we make out of this big deal, and how do things change hereon? It may be all of it, but it is not about the individual pieces. Facebook’s mantra is to have users spend as much of the discretionary time that they spend on the Internet, to be spent on Facebook. So if you listen to music, you share photos, you exchange notes with your friends, you view videos, you check-in to locations, etc. etc. etc. – can you do all of those things ON Facebook? And if not, wherever it is that you are doing it, would you share that information on Facebook (hence the Facebook likes and shares all across the web)?? So, yes, in that respect, adding the one more piece where users were spending an enormous amount of time, made sense for Facebook. The value of the acquisition itself. Was $19 bn a good price? Honestly I don’t get that part. The number has just far too many zeroes in it, for me to comprehend it’s impact. I can only think in relative terms, in reference to earlier acquisitions in the space. Let’s say, YouTube, Instagram, Pulse, Slideshare, and the like. Most of these did not have any major revenues to talk about. All of them had large user base, phenomenal growth rates and stickiness. WhatsApp clearly has all of those elements, and in ample measure. And we are in 2014 now. With a much, much larger base of Smartphones (and growing rapidly), a much larger Internet user base (and still growing), and in a world clearly dominated by mobile, on which WhatsApp is clearly one of the leading platforms. All that justifies a large price tag. Whether it is $19 bn or $10 bn or $25 bn is best left for the bankers to decide. I won’t pretend to do any math to justify the number or question it! Then again, a price you pay to acquire is related to what you do with the acquisition? Will Facebook earn $19 bn of revenues and profits due to the acquisition. I am sure that looks far fetched today. But they have paid a value, and if that acquisition can enable them to add a higher value to Facebook, that should be justification for the price? So if they manage to convince the markets, by the time the next quarterly results are out, that owing to the WhatsApp acquisition, Facebook now has an increased % of time spent by users on the mobile Internet, and which has grown by x %, that would be good reason for the markets to add a few billion dollars to the FB marketcap. Of course, assuming that the other parameters of revenue growth continuing their positive trends, as they have been in recent days! Did you read about a recent acquisition that Facebook did, of Little Eye Labs, a very smart tech team out of Bangalore? The entire company was acquired and moved to California, to work for Facebook. While what they were already doing – a monitoring tool for apps – was of interest, what was far more interesting for Facebook, was the talent pool they were getting. And who would now deliver for Facebook. We must appreciate that the founding teams of super successful startups like Instagram and WhatsApp are perhaps, amongst the smartest of developers / techies, on the planet at this time. They might be college dropouts, or the kind who never applied for a job, while graduating from college. But went out to create absolutely stunning products. Getting such awesome talent to now work for Facebook, on a much larger platform, and deliver new innovation for Facebook, converts to many billions of dollars of value. And this is happening, with WhatsApp as well, as Jam Koum is coming on board and will be at Facebook. It is the ability of companies like Google and Facebook, to acquire startups, and give those mavericks (the founders) their space, to continue to feel entrepreneurial, and deliver awesome innovation for the larger parent now. It is there that the true success lies, for folks like Facebook. The day that companies of this kind become slow moving behemoths, is the day that their stock will crash. WhatsApp was dead against advertising. Will that change now? But I believe, it will not change right away. If it does, there will be exodus out of WhatsApp. As long as people don’t see any difference in their usage of WhatsApp, they will continue being there, and engaging and spending a lot of time. If there is seeming difference, like an ad comes up out of nowhere, then distrust will start, and migration out of the system, can happen. Then again, nothing is permanent. Including the decision to not advertise on the platform. Some non-intrusive forms of monetization may come up in a year or so. And why not? Hey, there’s no free lunch anywhere, right?! Will we see things like a ‘Facebook login’ or ‘share this on Facebook’ come up? Those changes may come in sooner. They will be optional, but a distinct possibility. Just the way, Facebook’s messenger tool is independent and yet integrated to Facebook, same can be visualised for WhatsApp as well. And the ease of a Facebook login (which you now find in increasing number of places) may be compelling for a lot of the new users. And with it, comes that extra edge of power for Facebook. They could come up in course of time, if not on WhatsApp, then at least on Facebook, a way for an advertiser to reach that audience, that has certain characteristics of WhatsApp behaviour!! So is this move a threat or an opportunity for competing platforms like WeChat and others? It is a bit of both. But more of an opportunity, I believe. The growth rates for WhatsApp and others like WeChat were at a certain level, irrespective of this move. Those will be maintained. But beyond that, some of those who adopted to WhatsApp, and spent more time there, were also people who were concerned on privacy issues, or being too open, on a platform like Facebook. 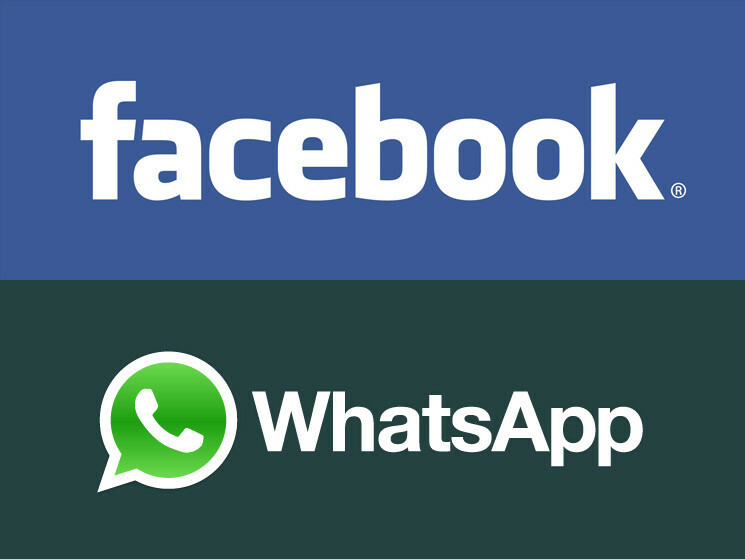 While WhatsApp will remain independent of Facebook, but the perception it can give now, is that we are back to the Facebook world, which they had run away from..! Platforms like WeChat can jump on this opportunity and offer a “truly private messaging platform, with many other attractive features” as a proposition to the users, and perhaps wean a few away. Depends on how they choose to play this out. At a personal level, would I shift out of WhatsApp? No, not right now. And not until my friends and my various groups continue to remain active here. If that space changes, then who knows? As users, we are clearly not wedded to these platforms, are we?